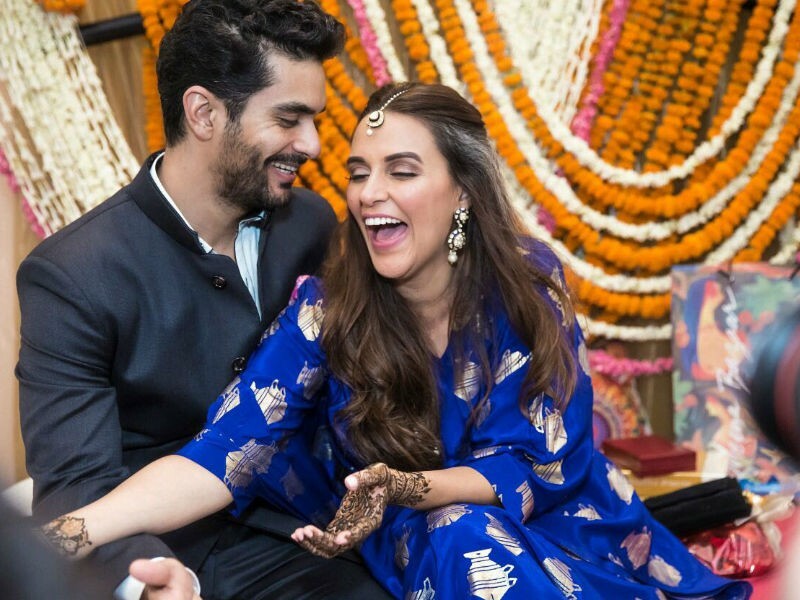 Neha dhupia's wedding with Angad bedi on 10 may in a private ceremony. Bollywood is celebrating these days, getting married or attending the wedding celebration. These days we are coming to know the weddings of some of the most popular celebrities of the Bollywood industry. Sonam Kapoor, Neha Dhupia, Himesh Reshammiya and the list keeps growing. 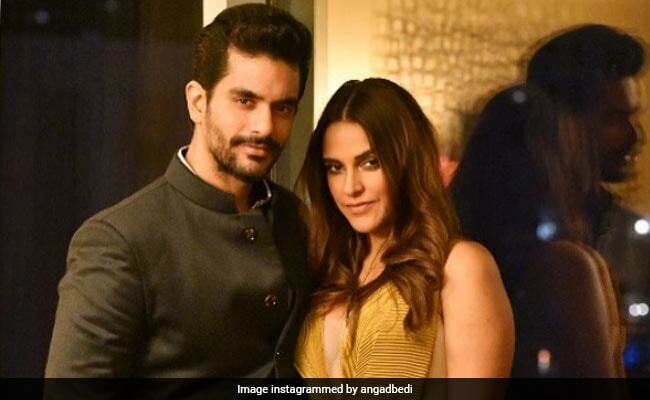 After, Neha Dhupia also got hitched with her best friend Angad Bedi in a private ceremony with a presence of friends and family in Delhi. Neha said that she is really happy after marrying her best friend. There were rumours of them dating each other for quite some time but they never spoke about their relationship. They are married in one of the most romantic way possible. Neha posted a picture on Instagram and captioned it “I took the best decision of my life and I married my best friend”. The couple looked really cute with their pink and white combination. 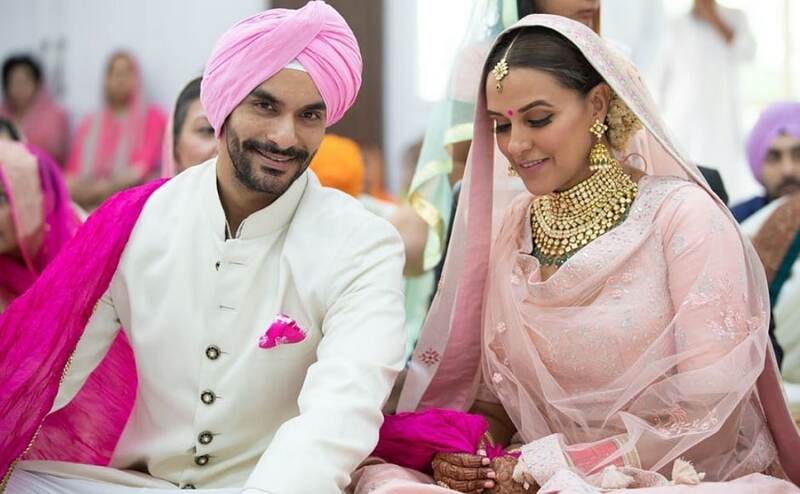 Neha wore pink lehenga with gold choker jewellery while Angad wore Bandgala suit and paired it up with the pink turban. Neha is a Bollywood actress and now a gang leader in Roadies whereas Angad was last seen in “Pink” movie. In the end, we have seen some emotional father-daughter moment of Neha’s Vidaai. Now the couple left for the holidays just next day after their marriage. Neha wore blue cute and light gown for her mehndi ceremony. She carried the look with the light makeup and more natural look. The couple went to the U.S for their honeymoon. They came back in the morning and hardly pose for the shutterbugs. Neha was seen in the simple loose blue jeans and in long black cardigan whereas Angad was in black t-shirt black track pant and yellow sneakers. We wish this loving couple of Bollywood a long and happy married life.